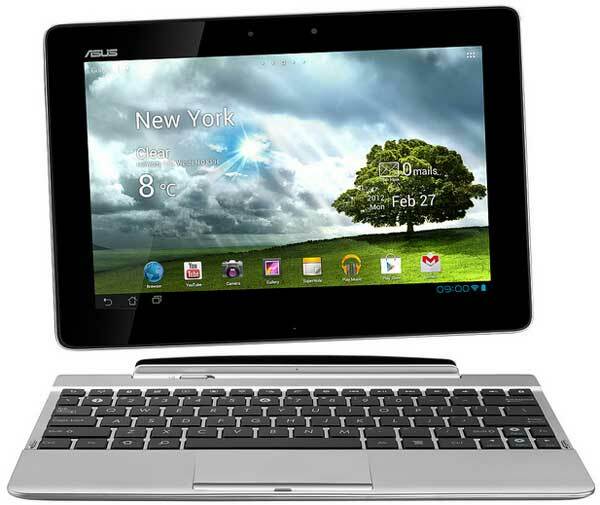 Following up on something of a success story from last year, is the Asus Transformer Pad TF300T, a design fresh breath of air in the tablet computer market. Or is it a hybrid computer. Or both? The Transformer Pad TF300T by itself is a tablet computer, but add the optional keyboard dock and it more resembles a notebook computer. Packed into the tablet component of the package is a 10.1″ WXGA (1280 X 800) LED Backlight IPS multitouch screen, that is 9.9mm thin and weighs 635 grams. Plus a NVIDIA Tegra 3 4-PLUS-1 quad-core CPU with an integrated 12-core GeForce GPU, 1.2 megapixel front camera and 8 megapixel rear camera, 1GB RAM, 32GB ROM, and a 22Wh Li-polymer battery, providing up to 10 hours battery life. Add the keyboard dock, and straight up with its additional 16.5Wh Li-polymer battery you have up to an extra 5 hours battery life. All of this is run by the Android 4.0 operating system, also known as Ice Cream Sandwich, the flavour of Android built with tablet computers specifically in mind. 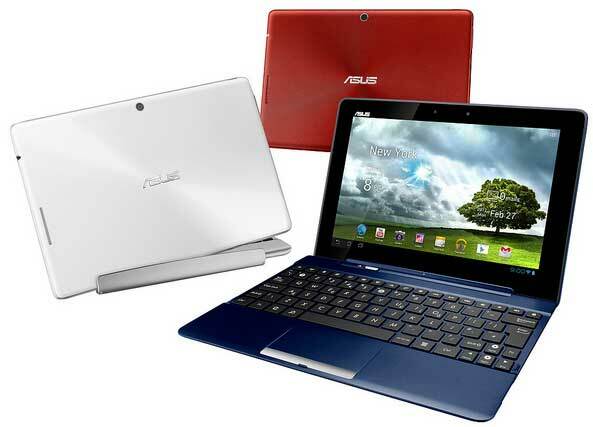 If you like a little colour with your computing, the Asus Transformer Pad TF300T is available in blue, white and red. The Transformer Pad TF300T alone is $499 RRP, add another $100 for the keyboard dock. It will be available to buy this week. Previous ArticleThe Pebble E-Paper Watch for iPhone & Android rocks! There’s always something newer coming. I expect the Infinity will be a couple of hundred bucks dearer and the 1.6GHz processor (wifi) is going to drain battery fast. Low weight means they didn’t increase the battery size like Apple did. Yup true, though waiting for the next thing means not getting in the game. I’m making notes now for a story on the Infinity. True that Tran, the Transformer Pad Infinity does look good.